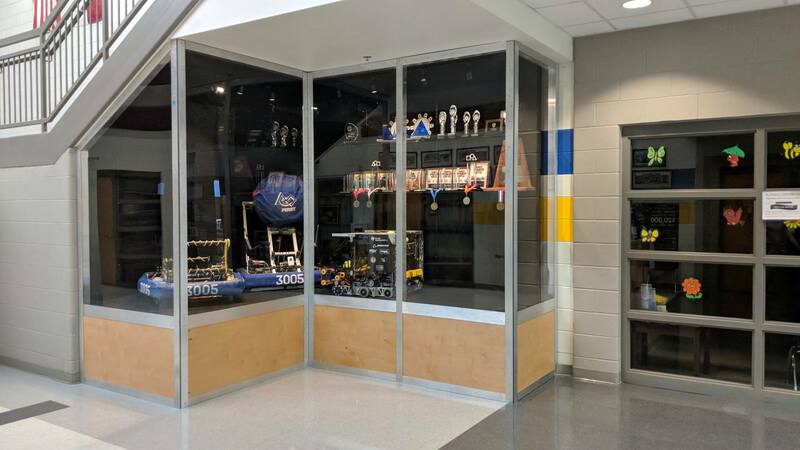 Our team is fortunate to have an incredibly supportive administration and staff at our school, and a while ago we were offered some space at the front of our school under a staircase and asked us to build a trophy case highlighting the robotics program. 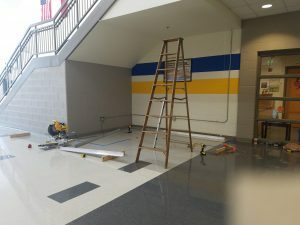 It was under constructions most of the summer, but we finally finished it just before school started this year! 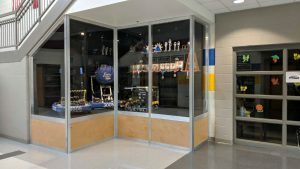 None of the existing trophy cases in the school were big enough to display any of the team’s robots and we didn’t want our past robots to just sit tucked away in our shop–they deserved to be shown off! 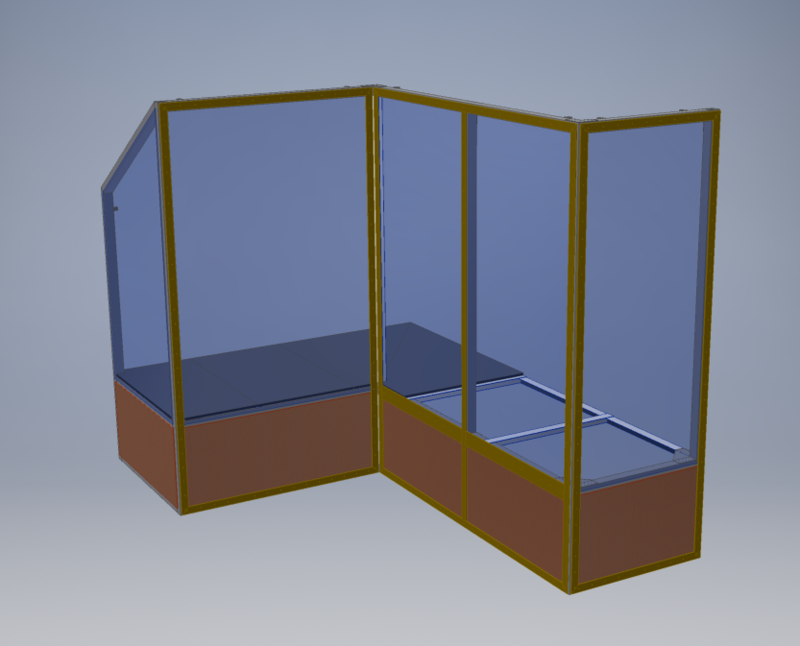 So we designed and built our case to be large enough to house four FRC robots, several FTC robots and a shelve system for trophies. The case was made of aluminum profiles and acrylic panels, with removable wood sections on the bottom to allow access to about a hundred cubic feet of longer term club storage underneath. As a future upgrade, we are planning to add a TV screen that will cycle through meeting information and stream events on game days. A huge thanks to all of our sponsors that help make this program possible!